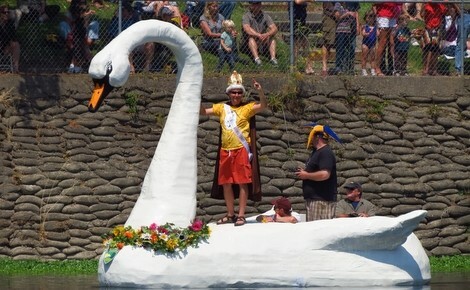 Gold Ridge RCD June E-Newsletter: Water for Salmon, Stormwater Planning, Fun on the River, and more. Each summer, coho salmon survival is imperiled by low-flow conditions in our salmon-bearing watersheds. Many creeks feeding into the Russian River as well as the coastal watershed of Salmon Creek become disconnected as the rains let up and summer heat takes its toll. Near-stream water users also put demand on water resources as they irrigate to keep gardens and farmland alive. The Russian River Coho Water Resources Partnership (or Coho Partnership) is in its seventh year of collaborating with landowners to make water available in the summer along critical reaches of Russian River creeks for sensitive coho and steelhead trout populations. Seven near-stream landowners along portions of Green Valley, Purrington, and Dutch Bill Creeks are in the process of developing conservation projects: rainwater catchment and water storage systems on rural residential, ag and institutional properties that capture and store water in the winter for outdoor use in the summer. Landowners capture up to 175,000 gallons per year--enough to replace their summer-time outdoor water uses, and then some. What remains may only amount to a trickle of water in the creek, but these small enhancements really make a difference to salmon survival. Keeping pools connected, and water flowing throughout the creek, is a must-have feature of salmonid habitat. Without this connectivity, isolated pools shrink, warm up, lose oxygen, retain pollutants, and kill fish. 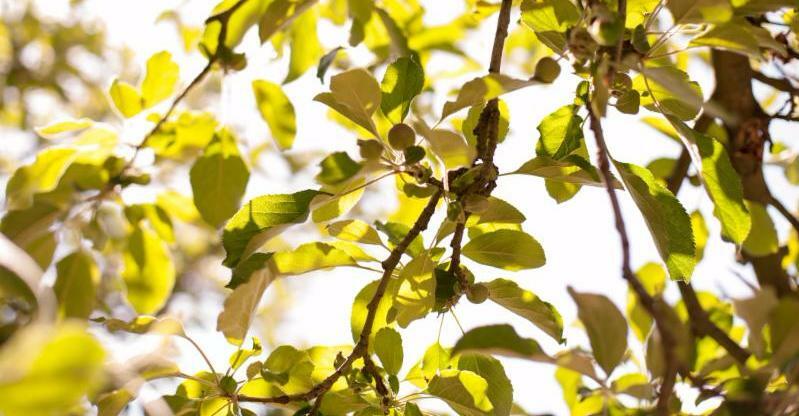 The Gold Ridge RCD is thankful to the landowners participating in the Coho Partnership and will be outreaching to new landowners this summer for participation in the next round of projects. Interested in getting involved? Read more and see if your property is eligible. The Russian River Watershed Association (RRWA) has been awarded a $500,000 planning grant by the State Water Resources Control Board to work with a variety of entities, including the Gold Ridge RCD, to develop a regional Storm Water Resources Plan (SWRP). The SWRP, which will be finalized January 2018, will be designed to establish a watershed-wide framework for future water quality protection and a water resource plan for the Russian River. This framework will identify projects that capture and re-use storm water runoff to provide multiple benefits. 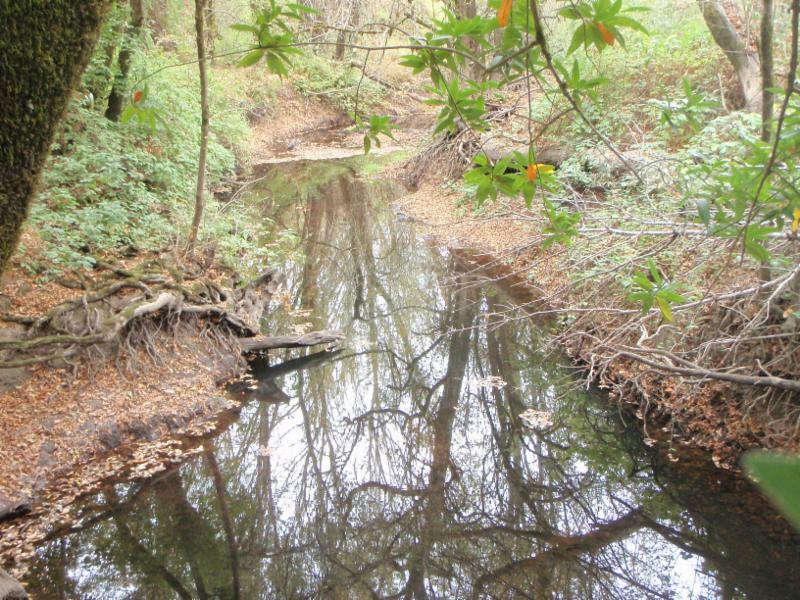 It will also provide information and resources to managers, regulators, and others interested in making science-based decisions on adaptive watershed management issues. Once completed, the document will provide member agencies with eligibility to apply for Proposition 1 implementation funding to make these projects a reality. The success of the SWRP will depend heavily on the participation of all RRWA members, collaborating entities, stakeholders, and the public. Read more about this process, and stay in touch and up to date by signing up for e-news. Participate by attending informational meetings or by submitting a project for consideration under the SWRP. 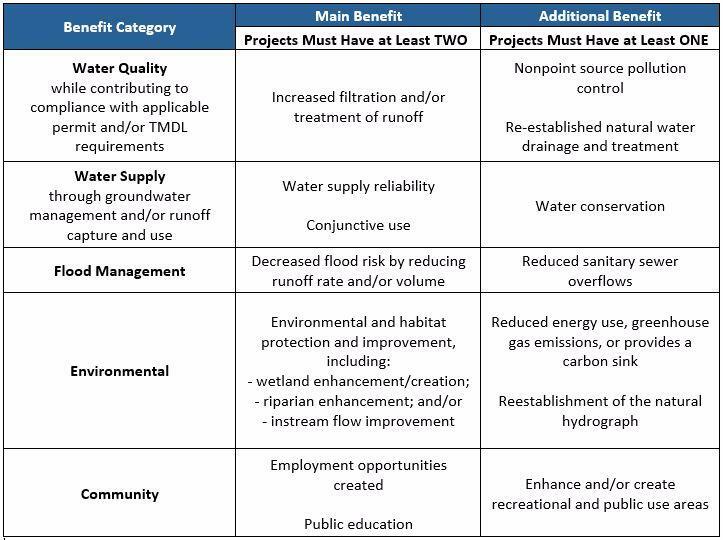 Projects may be included in the SWRP if they provide two or more main benefits and at least one additional benefit, according to the following Table. From CalCAN, this article highlights the achievement of our partner in conservation, Bordessa Dairy. The Bordessa family has been dairy farming in California for five generations and now have two farms just outside the tiny hamlet of Valley Ford in western Sonoma County. They are organic dairy producers, members of the Organic Valley farmer-owned dairy cooperative, and their cows are typically on pasture 90 percent of the year. Gary and Jarrid Bordessa, the father and son team at the helm of the farm’s operations, think a lot about balancing the ecological health of the land with economic viability. Managing manure is an important aspect of achieving this balance. 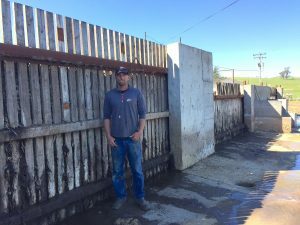 Because their cows are on pasture for so much of the year, most of the manure is distributed across the landscape, and Jarrid (pictured at left in front of their weeping wall) says the fertility the manure provides is one of the keys to the health and productivity of their pastures. Manure from the milking barns or free stalls where the cows are housed when the pastures are too wet to graze is flushed with recycled water and collected in cement pits. At the end of each pit is a low-tech “weeping wall,” a screen of wooden slats through which solids are separated as the water moves through the screen, pressurized by gravity. The liquid is either recycled for flushing barns or is used to fertigate pasture. The solids are dried, composted and used on pasture to enhance soil health and add fertility. The Bordessas are not alone in their commitment to continually improve their manure management strategies for greater environmental benefit. To showcase examples of innovative approaches to manure management and related emission reductions, CalCAN produced a series of six case studies profiling dairy producers. The profiles feature manure management techniques that reduce methane emissions while providing numerous other benefits such as improved air and water quality and soil health. Grab a swimsuit, towel and join the carnival! There will be food, music and games for all. For more info call (707) 565-204. Enjoy a summer sunset from the water followed by a breathtaking view of the full moon as it rises over Lake Benoist. Bring a kayak, canoe, or paddle board and a life vest (required), warm layers and your favorite moonlight snack. Registration required. Fee: $15/person and $12/boat rental fee (if needed). Russian River Family Kayak and Camp - Saturday, August 19, 11 a.m. to Sunday August 20 at 10 a.m.
Join Regional Parks on a majestic paddle from Memorial Beach to Riverfront Regional Park. We will spend the night in a redwood grove, wake up early to fish and paddle on Lake Benoist. Shuttle service, fishing poles, dinner and light breakfast provided. Registration required. Fee: $100/person and $24 for 2-day kayak rental (if needed). The Santa Rosa Plain Groundwater Sustainability Agency is a newly formed public agency and its purpose is to secure groundwater sustainability for the Santa Rosa Plain groundwater basin. The agency has a governing board and an advisory committee. The purpose of the advisory committee is to provide input and recommendations to the Agency Board on groundwater sustainability plan development, implementation and policies. The intent of the committee is to provide community perspective and participation in the Agency. The composition of the Advisory Committee is intended to represent the beneficial uses and users of groundwater identified in the Sustainable Groundwater Management Act. If you are interested in representing one of the interests above on the Advisory Committee, apply for a seat by July 31, 2017.